Our organization is counted among the reliable firms offering Mobile Hydraulic Cylinders to our valuable customers. These are highly applicable for forestry, stacker and reclaimers, material handling and marine industries. Owing to our features like imperial and metric sizes, quick deliveries and ethical business practices, we have been able to earn the satisfaction of large number of customers. Before the final dispatch, these products are checked by our quality controllers to ensure that the offered range are damaged free. We are offering Mobile Hydraulic Cylinders to our clients. 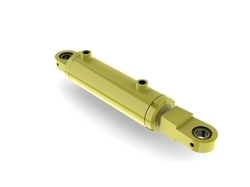 Looking for Mobile Hydraulic Cylinders ?